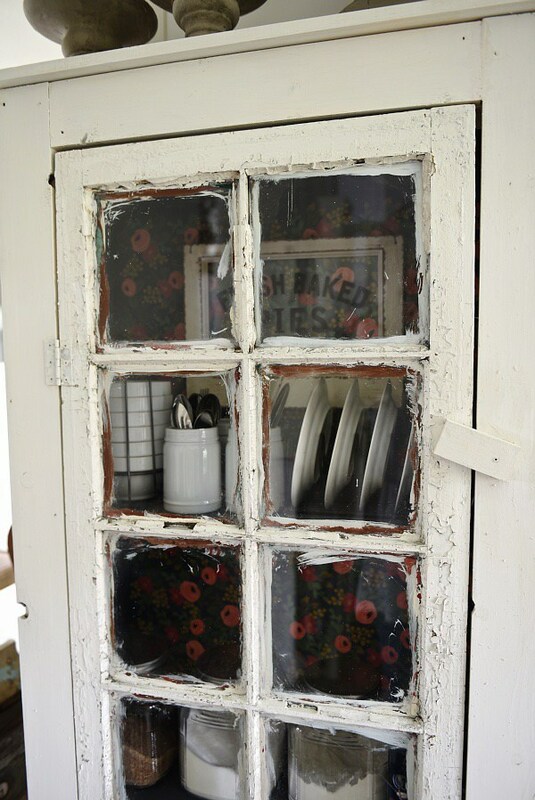 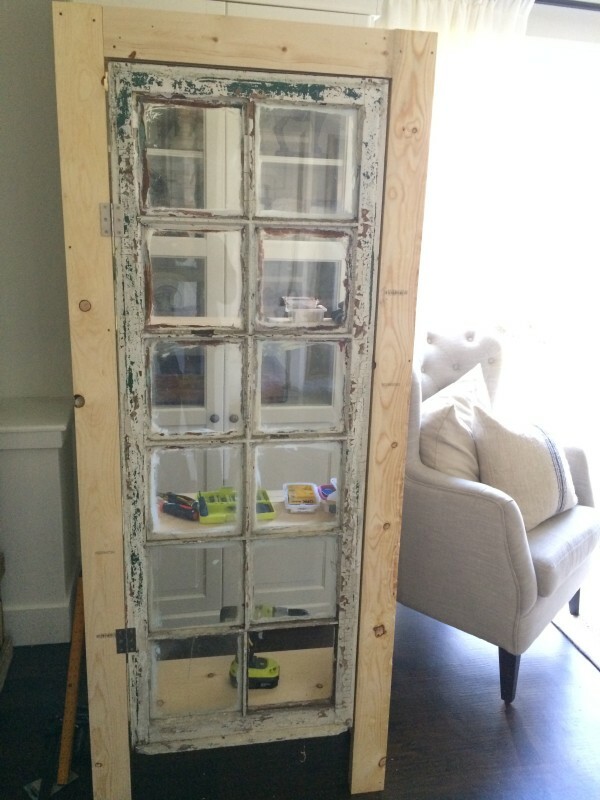 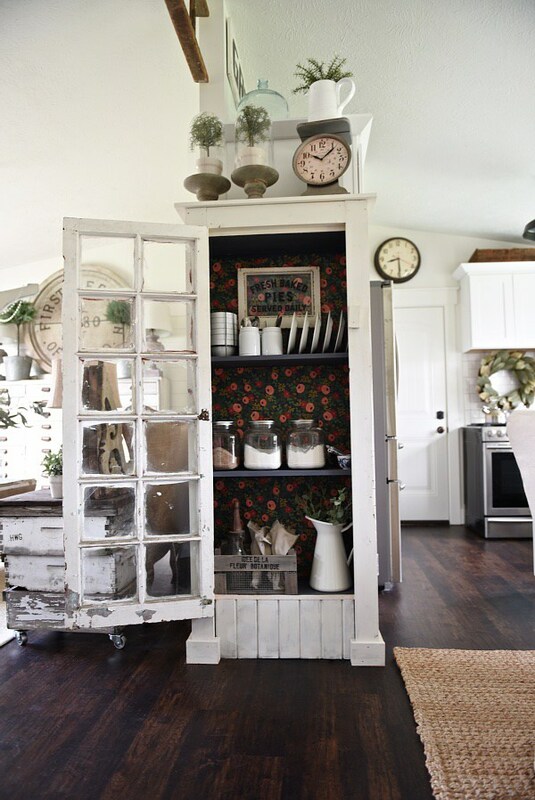 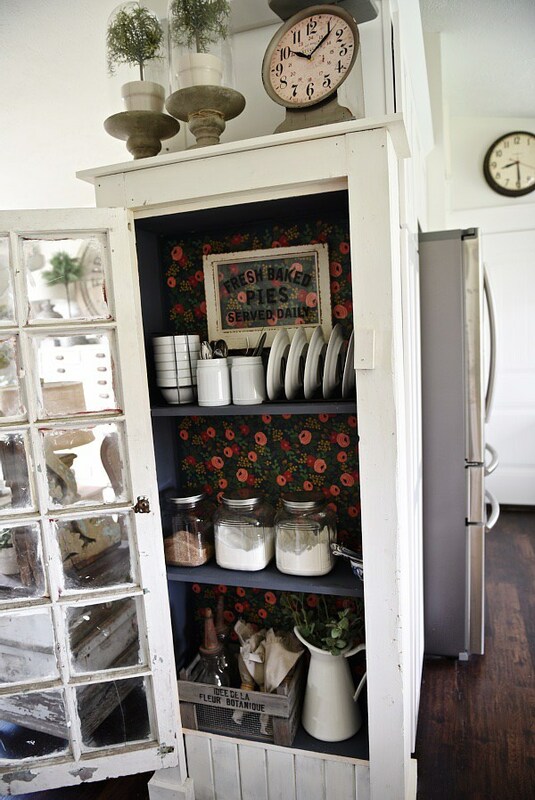 If you have an old window, don’t throw it away, just keep it for this cute vintage-inspired cabinet. 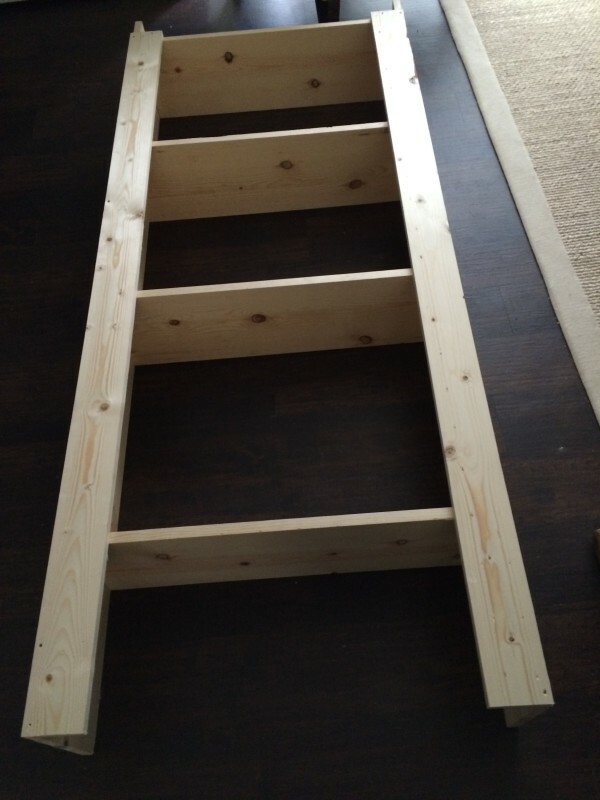 Besides it you’ll need (2) 1×10 @6ft common board, (1) 1×10 @10ft common board, (1) 1×12 @6ft common board, (5) 1×4 @6ft common board, 1/4 inch 4′ x 8′ sanded plywood, 2 inch finishing screws, mid-grade hinges, a knob, wood filler, paint. 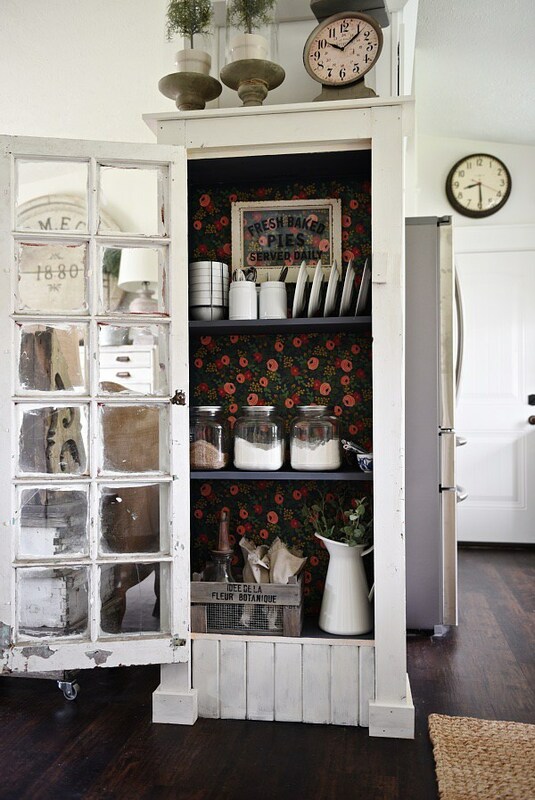 Measure the distance from the bottom or top of the door to the muntin (the strip of wood between each window pane). 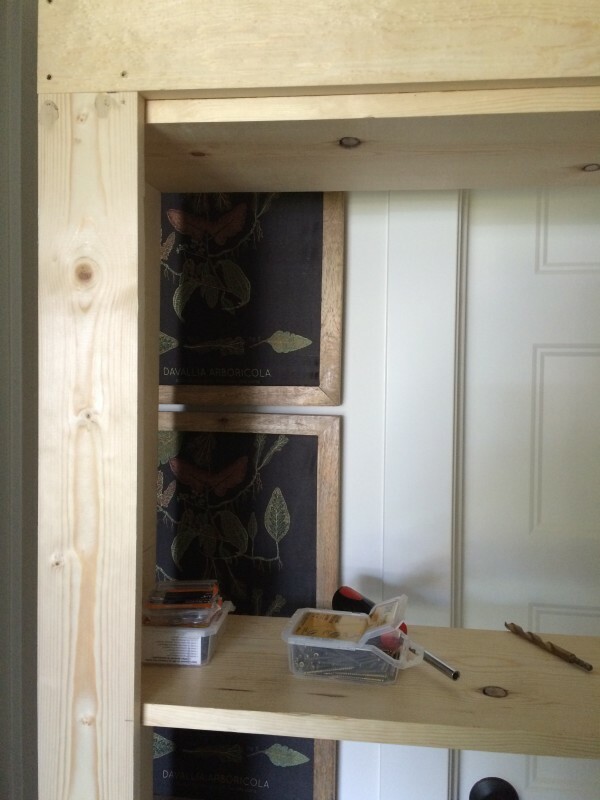 The best way to make this measurement accurate is to lay the door flat on the ground and place one 1×10 board that is going to be one of the sides of the shelf next to the door. 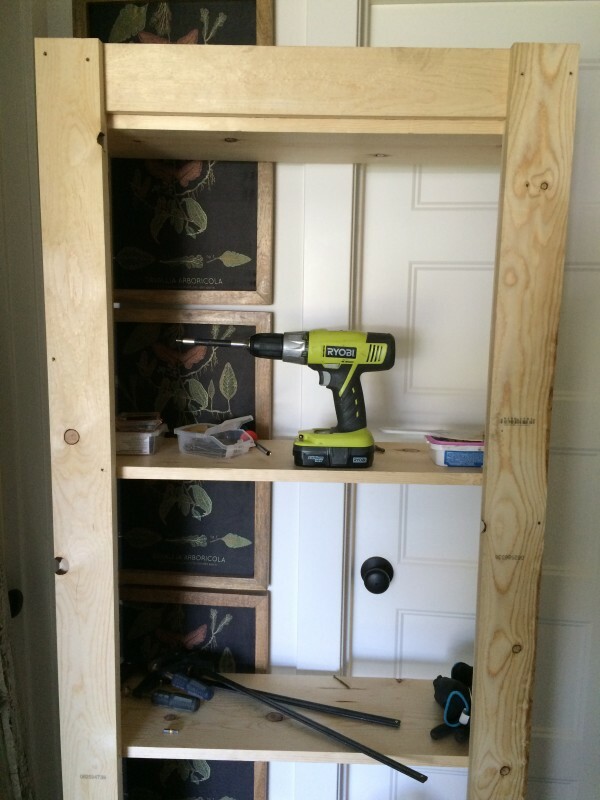 Keep reading the instructions at craftsmandrive.com.